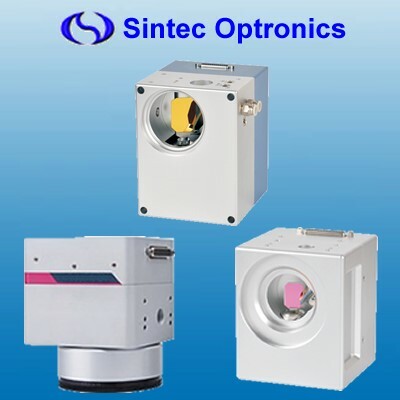 Sintec Optronics 2018 May Newsletters Laser Expert! The process can create new fresh metallic surface where the adhesive surfactants can attach as per design. Alternatively, a more aggressive ablation process pattern can increase surface area by a factor of 5, or create surface features of certain shape, to enhance mechanical locking of a coating or adhesive. The Powerlase Rigel and Centauri lasers can produce several thousands of such pulses per second, thus covering large surfaces in industrially competitive rates. With the use of galvanic scanners and beam profile shaping optics, a variety of surface patterns and roughness levels can be attained. 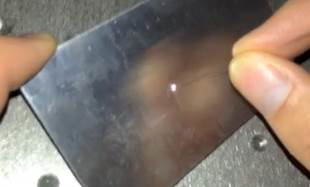 Depending on the type of adhesive, coating or substrate, improvements ranging from 2 to 8 times the bond strength have been observed. 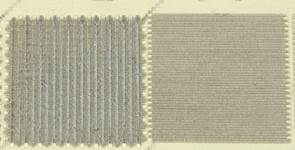 Surface coverage rates depend on the depth of surface features required, and typically range from 0.005 to 0.1 m2/min. For higher throughput and more productive processes, our Multi-Spot beam-splitters have been proven to provide accurate results. 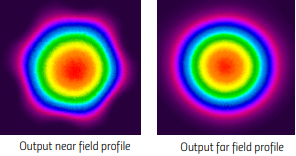 Top-Hat beam shapers can improve the edge quality and diameter accuracy of the holes, while vortex phase plates enable drilling of ring shapes. *NEW* Hollow-core Photonic Crystal Fibers for Ultrashort Laser Pulses ! 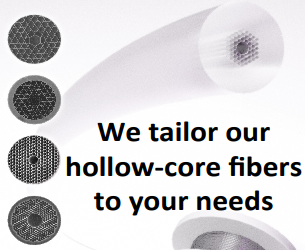 The outstanding capabilities of our Hollow-Core Photonic Crystal Fibers in handling record laser pulse energy and delivering these pulses in a flexible fashion makes our fibers an excellent solution for all developers and end-users in the emerging laser micromachining market and applications. Through proprietary Kagome HC-PCF, laser power handling and delivery is maximised, especially for high power ultra-fast fiber lasers in material micromachining and microprocessing. 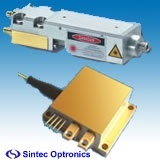 For example, it can be used as a laser delivery link between the laser-head and the work-piece that combines flexibility, low transmission optical loss, low pulse distortion, and access to very small and inconspicuous spaces to machine. Because the laser pulse travels in the hollow core of the fiber, the dispersion is very small and the pulses do not broaden! Also, the attenuation is very small because it is essentially traveling in air! 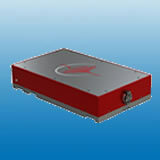 A second example is laser pulse temporal control, where we offer costumer-tailored PMC to compress laser pulses. Using FC-PCF to ablate metal by hand ! Size is a matter of definition. Depending on the industrial sector, some millimeters can be a tolerance or determine the function. 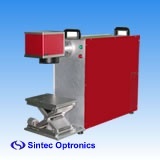 But laser material processing is established in very different technical sectors. 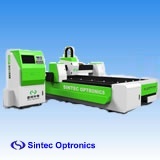 Large steal constructions as well as components from the micro technology can be fabricated by lasers. 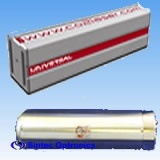 Therefore there are scanner systems with different sizes for input beam diameters from 7 mm up to 30 mm. The Mini series consists of a couple of F‑Theta lenses which are compatible with very small scanner systems. Because of their small design the products are a cost‑efficient alternative to commercial F‑Theta lenses. Our catalogue includes a selection of lenses with different focal lengths and scan fields. The F‑Theta lenses from the current catalogue consist of optical glass and are suitable for lasers with wavelengths of 1064 nm and 532 nm. Currently our STS4LFT0763/126 expands the series. 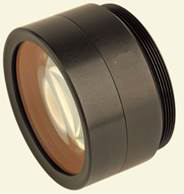 In spite of the compact design the non‑telecentric lens enables a scan field of 100 x 100 mm² at focal length of 163 mm. Two other lenses with focal lengths of 100 mm and 254 mm are already developed and will widen the product portfolio soon. The new lenses consist of fused silica, are ghost free and have a low absorbing coating. Therefore the new lenses are ideal for the use of short pulsed lasers or long time processes, where thermal stability is very important. *NEW* We will be visiting CLEO San Jose (14-18May) ! We shall be visiting CLEO conference in San Jose! We will be glad to meet up and have a good discussion ! We are currently overstocked on items such as Q-switch drivers, laser lamps, CO2 focusing lens and CO2 f-theta lens, high power fiber cable, ceramic reflectors, Optical galvanometers that supports 12-30mm apertures, and galvo drivers. Inquire about our stock items now and receive large discount!